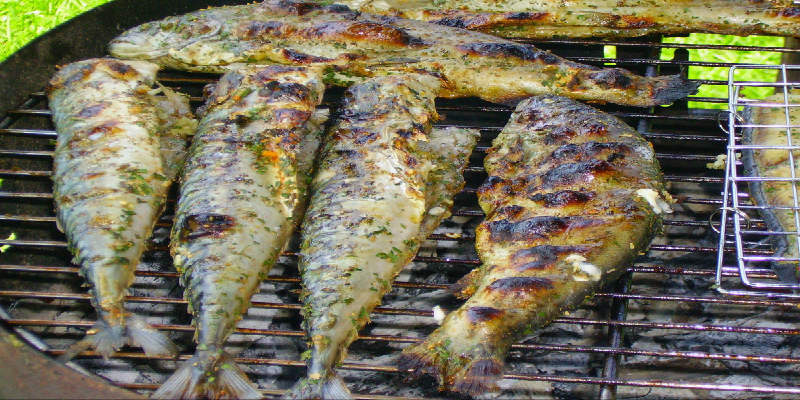 Fish is one of the best foods that the human body can have. It packs a nutritional punch and contains nutrients that can help your body and your mind. From your internal organs to your skin to even your sleep pattern, virtually every component of your being will feel the benefit of eating fish. Most of that benefit comes from the high levels of omega-3 fatty acids while the high levels of protein will keep your muscles strong and your body lean. Still not convinced on the benefits of eating plenty of fish? Then read on for six reasons to make sure you are getting enough fish. Most of the goodness of fish comes from those levels of omega-3 fatty acids, and one of their main benefits is the effect that these acids can have on the heart. They reduce the risk of inflammation which helps protect your heart at the same time of helping your body to avoid chronic disease. Nearly a quarter of Americans don’t get enough vitamin D in their diets which is a real problem given the essential role that this nutrient plays in the health of our bones. Vitamin D helps calcium absorption, and that means that a food source that is rich in it such as fish can help make our skeletons stronger. Not only does vitamin D help your bones, but it can also help you get a good night’s sleep. Studies have shown that the nutrient improves our quality of sleep, which explains why many of us will feel more tired after a day out in the sun as sunlight is also high in the vitamin. Increased consumption of fish can, therefore, help you sleep better. A study carried out in 2016 by the Journal of American Medical Association found that fish can lower the risk of Alzheimer’s Disease. Those who consume seafood more regularly have more grey brain matter which helps to reduce brain deterioration and shrinkage which can eventually lead to complications such as memory problems. By consuming a diet rich in fish, you could help to ward off the need for alzheimer’s treatment later in life. The oil that we find in fish can be extremely beneficial to our skin. A study published by BioMed Central in 2012 found that fish oil can help clear the skin of those who suffer from moderate to severe acne. Fish is lean meat and a great source of protein, which means that it can help you maintain a healthy weight and build muscle mass. This is because it is an excellent source of protein without the high saturated fat content that other forms of meat come with. It can also help boost your metabolism, which means that you’ll burn off fat quicker with a fish-rich diet.